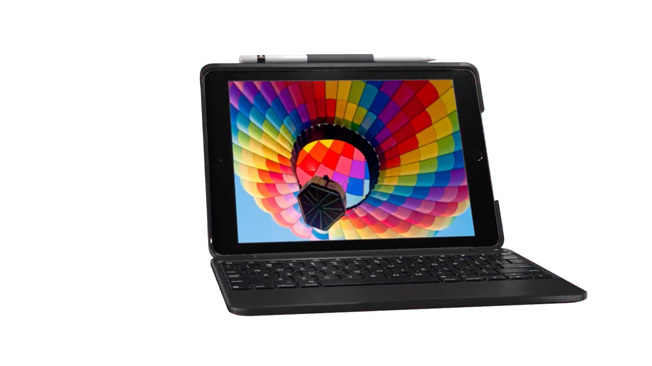 Now the best-selling, ultra-versatile SLIM COMBO keyboard case is available for your iPad(5th and 6th generation). 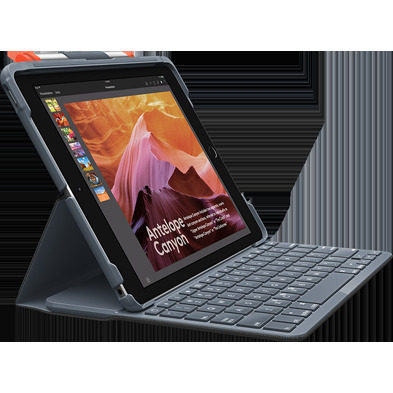 With its 4 versatile modes, detachable keyboard, and adjustable kickstand, your iPad is equipped for virtually any task. If you can dream it, you can do it. Type Mode: Click the keyboard into the upright position and type away. View Mode – perfect for watching videos and more. Studio Mode: Push the screen all the way down into Studio Mode. 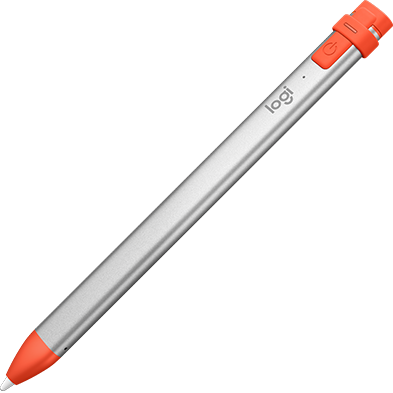 Comfortably draw and take notes with a digital pencil. Book Mode – perfect for reading. 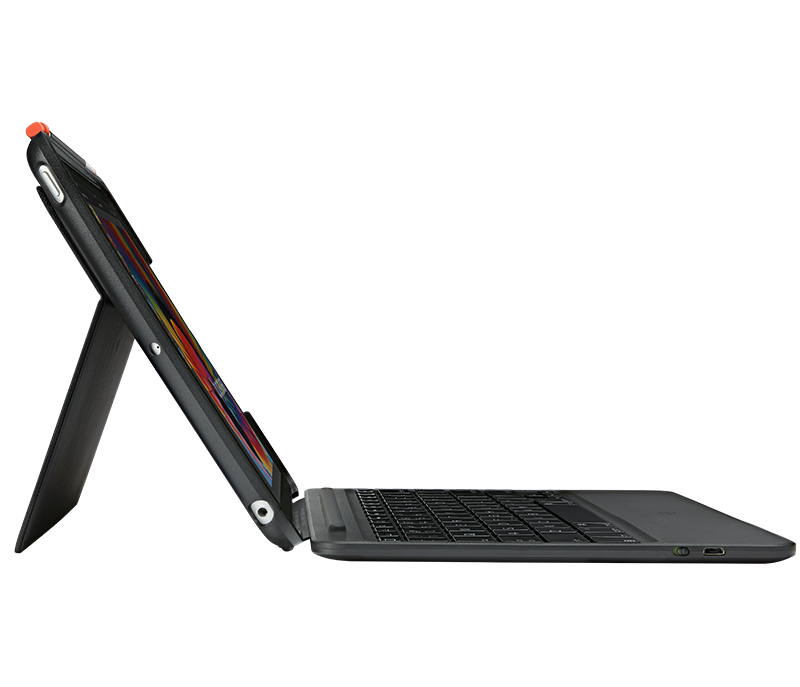 A laptop-like layout with well-spaced keys gives you hours of comfortable, precise typing. 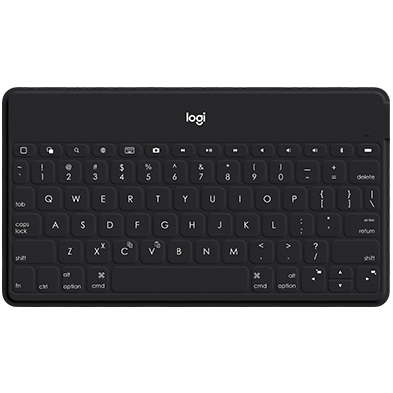 The backlit keys, with 3 levels of adjustable backlighting, let you type anytime – day or night. A full row of iOS shortcut keys gives you access to iPad controls, right at your fingertips — control media, volume, screen brightness, and more. 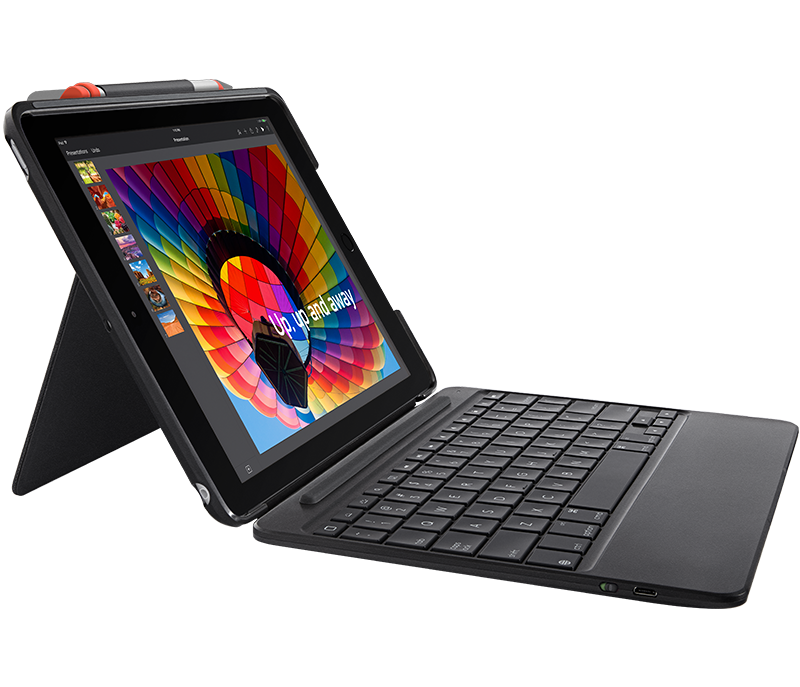 With SLIM COMBO's detachable keyboard, you have all sorts of options. Type with the keyboard attached or detached – whatever feels right for what you’re doing. See everything clearly at any angle. With 40 degrees of adjustable viewing angles and an adjustable kickstand, SLIM COMBO smoothly reclines and stays in place. No matter where you are — on the sofa, at a desk or on an airplane, get a perfect view of your gorgeous iPad screen. Keep your iPad in tip-top shape. 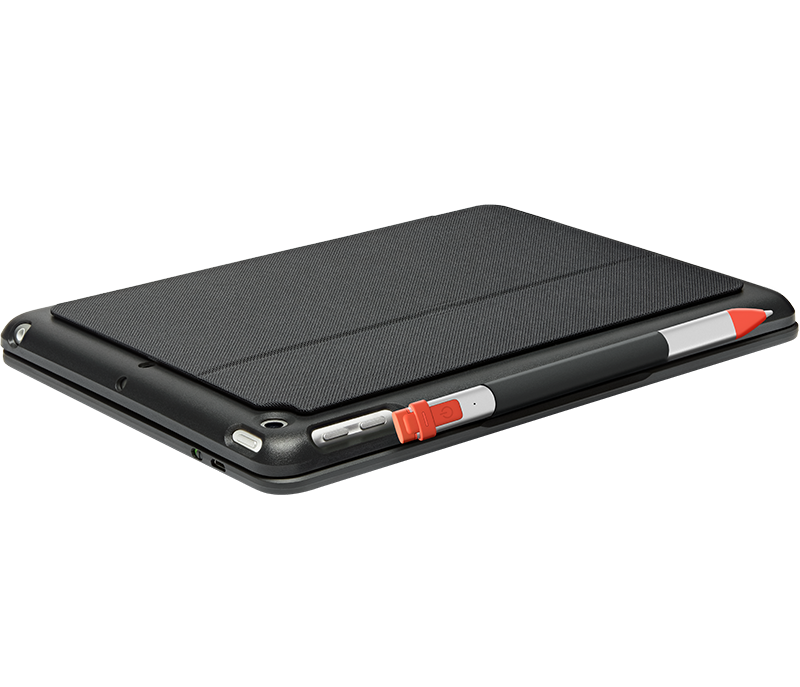 SLIM COMBO carefully encases your iPad for all-around protection against bumps, scratches, and spills. Outer materials are durable, built to withstand daily wear and tear, and makes SLIM COMBO perfect for slipping in and out of bags. Simply set up your connection one time and your keyboard will automatically connect every time you put your iPad into Type Mode. 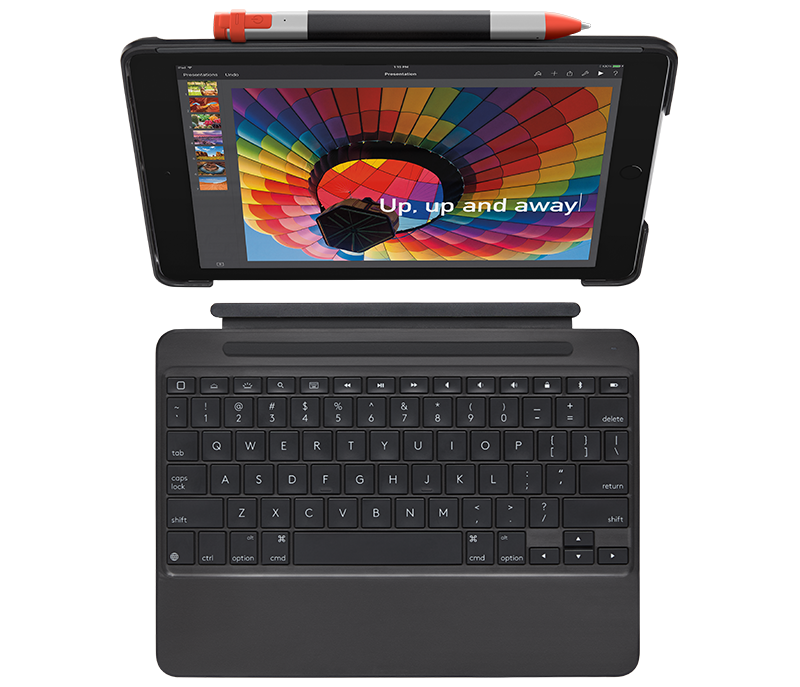 SLIM COMBO uses advanced Bluetooth®LE wireless for reliable, energy-efficient connection that won’t drop between the iPad and keyboard. We stand behind our products and commitment to excellence. If you need help with a product, our Customer Care team is happy to help. Learn more about our product warranties..